Fill any party space with a splash of bold color using these Latex Magenta Balloons. With 72 helium-quality balloons in the pack, there’s enough to completely outfit any birthday party, Sweet 16, Valentine’s Day party, or bachelorette party. Combine an assortment of balloons together to create a vibrant balloon bouquet, or tie them individually to tables and chairs around the room. 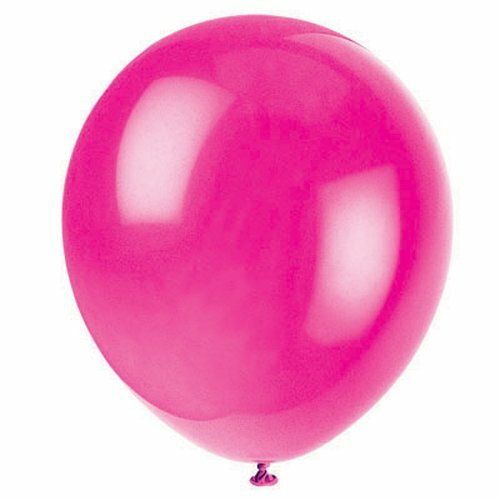 Mohon maaf, produk 12" Latex Magenta Balloons, 72ct sementara ini sedang habis.